The Department of State follows something known as the Visa Bulletin, which shows when immigrants can file for visas and much more. For August 2016, there has been a final action date of January 1, 2010 added for EB-4 visas for special immigrants in India. What does this mean for these immigrants? 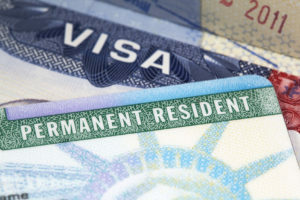 Starting August 1, applicants from India who have filed a Form I-360 on or after January 1, 2010, will not be able to obtain immigrant visas until more become available. The fiscal year of 2016 ends September 30 and India has already reached its EB-4 visa limit as mandated. This means that these immigrants must wait until more information becomes available on the Department of State’s October Visa Bulletin in September. As of right now, USCIS will be accepting all properly filed submissions of Form I-485 under the EB-4 classification until July 31, 2016. They will also continue to adjudicate applications while the visas remain. If you happen to file your I-485 under the EB-4 classification on or after August 1 2016, the USCIS will process and make a decision only if you filed your Form I-360 petition before January 1, 2010 and the form is approved. They could reject and return applications for Form I-485 but continue to process Form I-360 petitions. Each year, approximately 10,000 green cards become available for a special category known as EB-4. This category of employment-based green cards is a bit unusual and refers to “special immigrants,” some of which have no real connection to employment of any kind but instead work as ministers or religious workers who have received job offers from religious organizations in the United States. It also contains subcategories like medical graduates, former U.S. government workers, and international broadcasters. Of the 10,000 green cards offered every year, no more than 5,000 are allotted for non-clergy religious workers. Usually the limit will not be reached by the end of the year, which means that applicants may not wait as long of a time as people applying in other categories. As soon as the petition is approved by the U.S. Citizenship and Immigration Services, in many cases, they can go about the rest of their application as necessary until everything is handed in by the deadline. Ministers or Members of Clergy: People authorized by religious denomination are permitted to apply. This includes such people as ministers, priests, rabbis, monks, commissioned officers of the Salvation Army, and deacons. The only real limits that are placed involve who can and cannot call themselves a minister. If the person does not have a qualification or formal recognition, they need not apply. To show proof, typically a license or certificate is needed. Other Religious Workers: This is somebody who works in a religious vocation or occupation. They must be able to perform normal religious duties while not actually serving as clergy. It does not include maintenance workers but instead people who are religious instructors, counselors, cantors, workers in religious health care facilities, and more. It also does not include volunteers. Now that you understand the EB-4 category and the limits reached for immigrants for this year, you can give us a call to help handle your case. Immigration law can be complex and you may need legal guidance on your side. Give us a call at The RAWA Law Group for more information on how to get started today!